To manage symptoms of high blood sugar, keep these tips from BetterHealthKare in mind. The most important thing any diabetic can do for themselves is to learn how to maintain a healthy blood sugar balance. By learning how to identify the symptoms of high blood sugar, you will be better equipped to manage your illness. Controlling your blood sugar level is an answer to wellness, whether you have type 1 or type 2 diabetes. Click here for a list of 31 foods that lower blood sugar. 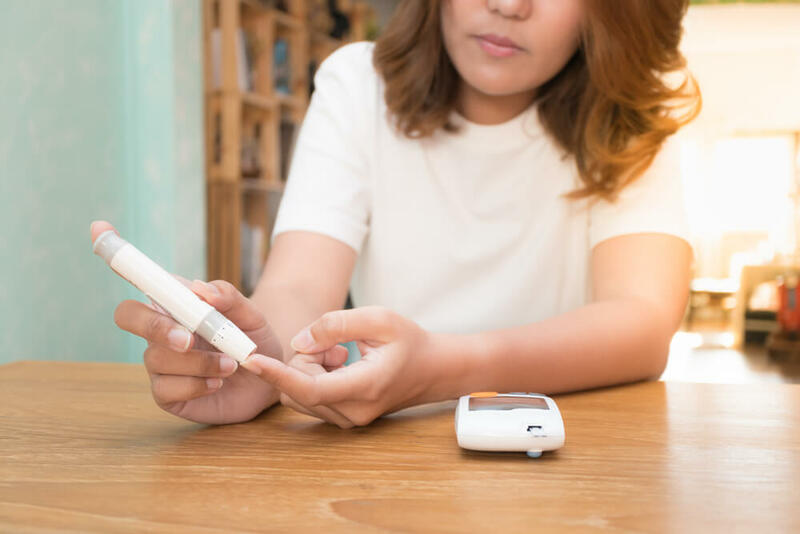 There are two levels of sugar that you must be aware of, and learn to identify: symptoms of fasting hyperglycemia, and symptoms of postprandial or after-meal hyperglycemia. You can test your sugar level for fasting hyperglycemia after you have fasted from food and drink for a minimum of 8 hours. To determine if you have fasting hyperglycemia, your blood levels will be 130 mg/dl or higher after not eating or drinking during this time frame. To check for postprandial hyperglycemia, you should check your sugar two hours after you have eaten a meal. Postprandial hyperglycemia is considered sugar levels that are above the 180 mg/dL level, after two hours from finishing a meal. It is interesting to note that individuals who do not have diabetes usually have a sugar level below 140 mg/dL after they have consumed a meal. Problems with the feet caused by nerve damage and poor blood circulation to the lower extremities. Foot problems can include: pain, insensitivity, calluses, ulcerations, and infections that may lead to amputation of toes or feet. Kidney problems (nephropathy) and kidney failure. Acid build-up in the blood (ketoacidosis), is an emergency complication. Hyperglycemic hyperosmolar nonketotic syndrome (HHNS), which is an emergency complication. When your blood sugar level remains above 240 mg/dL and ketones are present in your urine. When you are ill and cannot retain any food or fluids. Your blood sugar level is above 240 mg/dL even though you have taken your diabetes medication. You have a fever that exceeds 24 hours. You are experiencing continuous diarrhea or vomiting even though you are able to take some foods or drink. Take your medication according to the prescribed dosage. If your sugar level is high begin to drink water to flush sugar from your system. Some types of exercising can also assist in lowering high blood sugar. Ask your physician which types of exercise area appropriate for you. Check your urine ketone levels if you have type 1 diabetes. Meet with a dietician to help you prepare a meal plan that is appropriate for managing your diabetes. By keeping a close watch on your blood sugar levels, you will be able to assist in regulating it. Also remember to keep yourself hydrated, get enough exercise and rest, and try to avoid stress. To learn more tips, visit www.BetterHealthKare.com.